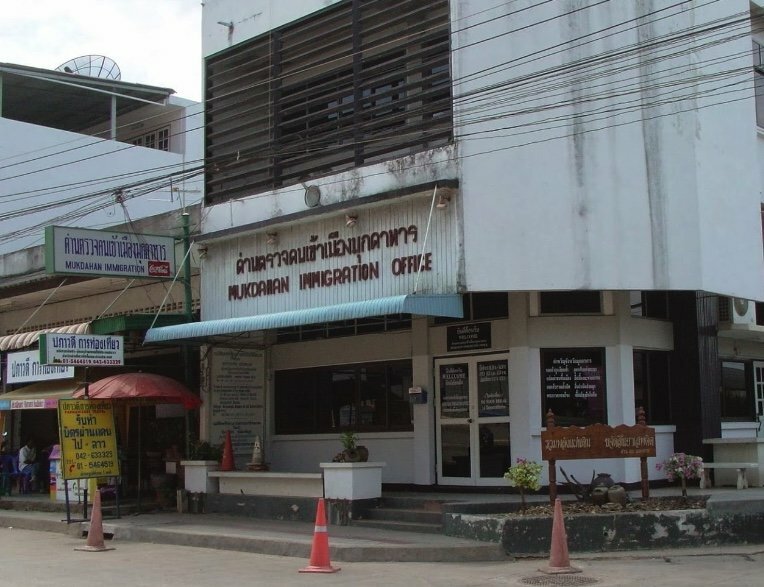 Two more Uighurs were arrested on Wednesday night after seven escaped from the detention room at the Mukdahan Immigration office. Police said one Uighur migrant was found hiding in a forest about 2 kilometres from the immigration office at about 9 pm on Wednesday. Police found another Uighur hiding on the Mekong River bank in Mukdahan's Muang district, apparently waiting to find a boat to cross the river to Laos. So far, three of the Uighurs have been captured and police are still searching for the remaining four. The seven had been being detained at the Mukdahan immigration office since early 2016 for unlawful entry into the kingdom. The broke out of their detention room on Tuesday. That's a very old file photo. Been a long time since Muk's immigration office was downtown. No Ferrari and a grandfather that started an energy drink company. Poor guys..I hope they will not send them back to those killers Commis chinks. No, they prefer to congregate with others with the same peace loving religion. The writing was, is and will remain on the wall. If you arrest illegal immigrations - that is one thing. Keeping them in a detention centre, off the face of the planet, since 2016 - is something else. Maybe it is time that one or the other NGO is consolidating some of their funds and tries to get to the root of the problem. I would assume that even in Thailand, with its rather unique interpretation of the law, cannot hold people indefinitely in detention centres without presenting them to the court for subsequent handling.